I’m currently on week 7 on Hal Higdon’s Marathon Novice I training plan. I have been feeling GREAT the past few weeks and I’m so happy!! Since there was supposed to be rain all day today, I ran my 6 with Amy yesterday. It was nice enough to go outside after school today and I did an unexpected quick 3. 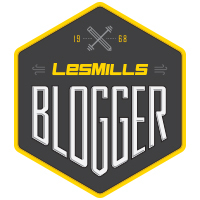 I will run 3 slow, recovery miles on the treadmill tomorrow and take a BodyPump class. 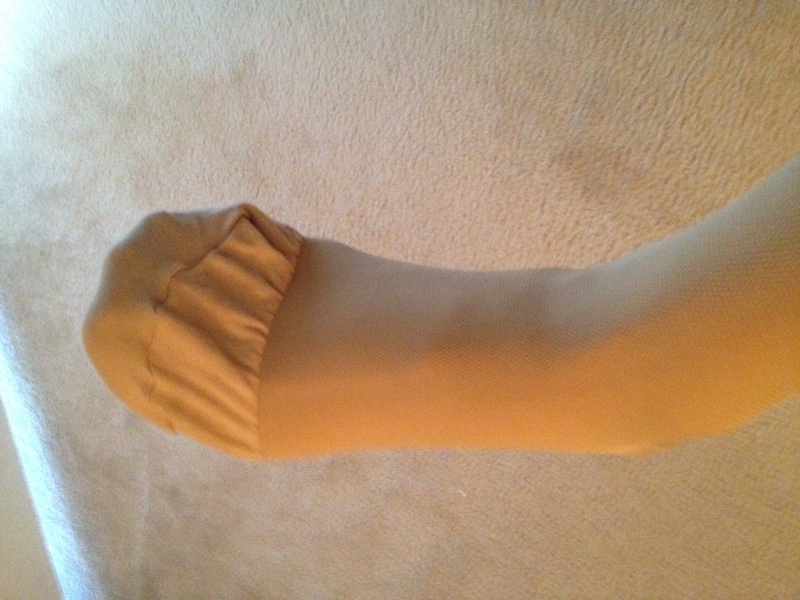 I’m not so secretly in love with my Walmart compression socks. I always put them on after long runs. They are just so much tighter than my actual running compression sleeves. 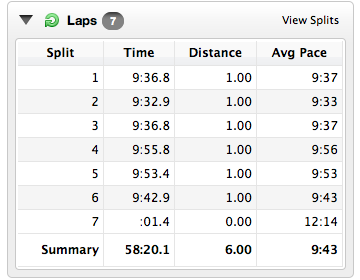 This was my 6 miler with Amy on Tuesday. 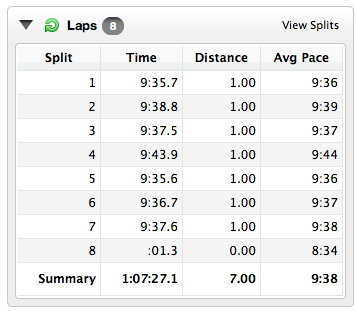 Mile 4 and 5 were mostly uphill the entire time, so we were pretty happy with our splits. 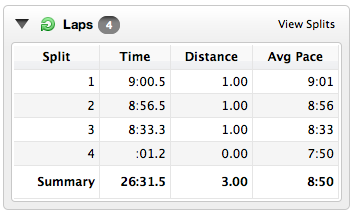 This was my run from today and I didn’t expect to push myself so much. I ran with Colby, but didn’t talk as much because I wanted to push the pace. Of course, this is still super comfortable for him, so I knew he would help me hold the faster pace and talk to keep me company. I was surprised to see how comfortable I felt at these paces. Comfortable, as in I could talk a little bit but not as much as usual. Do you think running with other people and talking helps you get stronger? I am LOVING running with my friend Amy 🙂 I have no idea how I trained for my marathon last year by myself!